Key Difference: The Sony Xperia Z Ultra is a high-end phablet launched on July 3, 2012 and marketed as "the world's slimmest Full HD smartphone." HTC One is a flagship phone of the HTC Corporation. It was launched in March 2013. 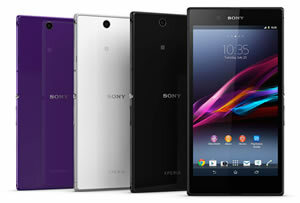 Sony had recently launched its flagship phone the Sony Xperia Z. After the success of Xperia Z, Sony sought to outdo it with the Sony Xperia Z Ultra. The Sony Xperia Z Ultra is a high-end phablet launched on July 3, 2012. The company has marketed the device as "the world's slimmest Full HD smartphone." Continuing the legacy of Xperia Z, the Xperia Z Ultra is also dust protected, low pressure water jet protected, and waterproof. It is also shatter-proof and scratch-resistant. The Ultra also utilizes the same "Omni-Balance" design as Xperia Z. The phone features a 6.4 inch screen, on which the user can take notes or draw on with a regular pen or pencil. Under the hood, the phone has a 2.2 GHz Qualcomm MSM8974 Quad Core processor and 2 GB of RAM. It also features an 8 MP camera fast-capture camera with Exmor RS, with 16X digital zoom, as well as a 2 MP front-facing camera. It is powered by a 3050mAh Lithium polymer battery and has 16 GB of internal memory, which is expandable via a microSD of up to 64 GB. In February 2013, the HTC Corporation announced the launch of its flagship phone the HTC One. The HTC One is the successor of the HTC One X, and is expected to be superior that its predecessor in terms of hardware design and software design. It also includes a unique camera implementation. 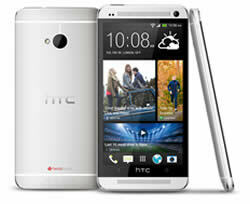 In terms of hardware, HTC One sports a 4.7 inch Super LCD3, with Full HD1080p, 468 PPI and Corning Gorilla Glass 2. The HTC one comes with Android v4.1.2 Jelly Bean that is upgradable to v4.2.2. The case is an all-aluminum frame with an antenna built into its backing. It includes a 1.7 GHz quad-core Snapdragon 600 processor, Adreno 320 GPU and 2 GB DDR2. The phone is available with non-expandable, 32 or 64GB internal capacity. The main feature of the phone was the new pixilation system that is opted for in the primary camera of the phone, which provides each pixel size of 2.0 µm and sensor size of 1/3'. The One also includes a new camera app known as ‘Zoe’, which records a short video alongside every photo taken and allows the resulting photos and videos to be automatically combined and synchronized with music to produce a multimedia presentation known as a Zoe. The information for the detailed table about the two phones has been taken from the Sony Mobile website, the HTC website and GSMArena.com. Gyro sensor, Accelerometer, Proximity sensor, Ambient light sensor. Compliant with Bluetooth 4.0, Bluetooth 4.0 with aptX enabled, Wi-Fi: IEEE 802.11 a/ac/b/g/n, DLNA, micro-USB 2.0. HTC BoomSound, Dual frontal stereo speakers with built-in amplifiers, Beats Audio, HDR Microphone and Sense Voice. Dust protected, low pressure water jet protected, waterproof, shatter-proof and scratch-resistant.